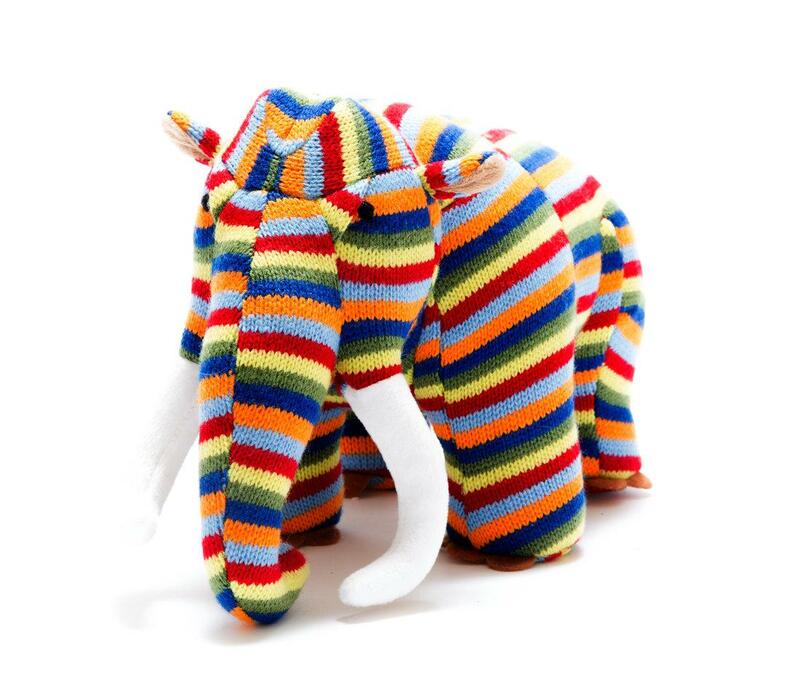 Our gorgeous Woolly Mammoth toy is now available in colourful stripes. This new woolly mammoth is also tactile and knitted with soft tusks. . A cuddly and sturdy knitted toy - a fabulou alternative to our brown pre-historic Woolly Mammoth toys. Have you seen our range of Dinosaur Greeting Cards featuring our Woolly Mammoths?